Since two months we have a new participant in our local FSFE group. I asked him what did bring him to our group? He told me that last year in summer, he was on a demonstration called “Freiheit statt Angst” (means “Freedom not fear”). It is the biggest yearly demonstration in Germany against mass surveillance of the people. On this demonstration he was passing by FSFE’s booth. At the booth, he got attracted by our F-Droid leaflet. He picked it up and read it. He learned that he can free his tablet and use it with Free Software. He followed the guide and installed a free Custom ROM, and by doing so he was updating his operating system two major releases further (Android 2 to Android 4). Something, his manufacturer claims that this is not possible for his tablet. Instead people should buy a new tablet with a new system. For the very same reason, the manufacturer does not like customers to update the tablet on their own. However, our new community member was able to update it by following FSFE’s guide, and he did. This demonstrated him how important Free Software is to empower people in their use of technology. And since then, he is using his tablet with Free Software only. Some weeks later, he was on a conference about “cyberpeace”, where he saw another booth by the FSFE. He took the chance to talk with the crew and he learned about FSFE’s work and the political impact of Free Software. After that, he decided to join the FSFE. He has two children that go into school. The school offer computer lectures where pupils learn to use IT with proprietary software. But he likes his children to compute in freedom. That is why he is now in discussion with the teachers and the director to change the IT-class. He likes the school to introduce Free Software to the pupils, because no one ever should be forced to use proprietary software. Given a success, that means hundreds of new pupils, eager to learn, will know about Free Software. Some of them might be attracted with the same passion that our new member is. 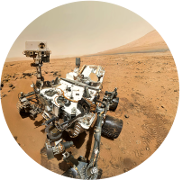 Maybe one day, they will join one of our countless Free Software communities and help even more people to achieve a self-determined use of technology and communication channels. By this, they will become crucial on our way to build a Free Society for all of us. And to complete the circle: remember that everything started with one leaflet? It is the butterfly effect. And this effect is what makes the impact and outcome of your contributions unpredictable – but priceless, for sure. 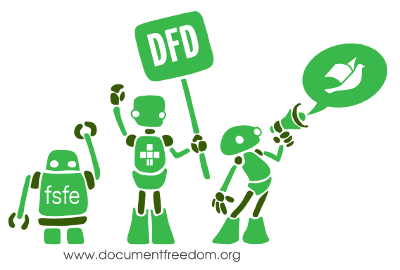 I wish all of you a happy Document Freedom Day and thank you so much for spreading the word. You know who you are.